The Rumson St. Patrick’s Day Parade Committee is pleased to announce that John F. Croddick, Sr. has been selected to be our Parade’s 2019 Grand Marshal. Croddick grew up in Marlboro, NJ. He is a proud member of the first graduating class of Christian Brothers Academy in Lincroft. 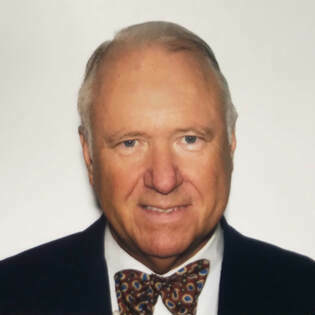 After graduating from CBA, Croddick pursued an Economic and Business degree from Upsala College in West Orange, New Jersey. He and his wife, Virginia Ryan of Queens NY, have been married for 49 years. The Croddicks moved to Rumson to raise their family. They have five children: John F. Croddick, Jr. (Rumson); Kathleen Croddick Molyneaux (Fair Haven); Erin Croddick Avery (Morganville); Eugene F. Croddick (Freehold); and Julia Croddick Hawkins (New York). Croddick is the President of JFC Electronics located in Marlboro. The company is a defense contractor that produces unique instruments for measuring electricity with numerous electronic components. Croddick is also the President of JFC Machine Works in Marlboro. In addition to his Marlboro companies, Croddick is the President and CEO of Cosmetic Essence, Inc. Founded in 1967, CEI has been the largest cosmetic fragrance filler in the United States for over thirty years. CEI is the leading provider of supply chain management services for the personal care and household products industries. The company is a cutting-edge innovator in its industry. Croddick also serves as the Chairman of the Board for CPA Operations/Lensco located in Philadelphia. Beyond his industrious and innovative career, Croddick has always made time for community service and leadership positions including the Bayshore Community Hospital’s Board of Directors, Collier Services’ Board of Directors, Georgian Court’s Board of Governors, and Christian Brothers Academy’s Board of Directors. The Croddicks are member of numerous local social clubs in New Jersey, New York, and Florida. Croddick is the past President of the Friendly Sons of St. Patrick and serves on the Board of Directors of the Navesink Country Club. The Croddicks are parishioners of St. Gabriel’s Church (Marlboro) and Holy Cross Church (Rumson).